If you make a great, valuable content consistently, you can see how your engagement, likes, shares and views increase. If you want to attract someone’s attention, you should share a content that will be relevant and interesting for your target audience. But there’s another thing that can affect on how your content marketing will develop to the next level: the call to action (CTA). A powerful CTA is the main channel to turn your visitor into a lead or subscriber. So, here you can find 4 powerful tips to optimize your blog CTA in order to ameliorate your conversion rates. There are many blogs who tend to place their CTAs at the end of the article. However, many researches demonstrate that usually people get through 70% of an article. So, you should place your CTA in a right place to be noticeable. For example, in Invisible Children website the “donate” button follows you as you scroll the page. It remains visible all the time, so readers can take action at any time without trying to find that button. Thus, no matter you put your CTA at the beginning , at the end of your post or somewhere else, make sure that you understand your context, as the best placement depends on that. In order to make your call to action stand out, you must ensure that the buttons’ colors contrast your website’s other elements, however it should still be relevant to overall color scheme of your website. The reason to use outstanding colors is to make visitors know what they should do the next. In order to make sure that the color is eye-catching, you can create several buttons and make a glance test. For example you can use Button Optimizer to create buttons. Create them and make sure to choose the one, which stands out differently and which attracts your attention at first. It is very important to choose the right size for your CTA. The rule for the size is to make a button in a size that makes sense. If your button is very small, it can be unnoticeable. So make your button big enough to attract visitors’ attention, but not so big, which would overpower the most important info on your page. Generally, your aim is to make people click on your button, so make it easy for them to do so. The button must be enough big to be comfortable for people to click on it, but not so big, that would make people avoid it. As to the shapes of CTAs, many designers suggest using CTAs which are pill-shaped, which means buttons with rounded corners. 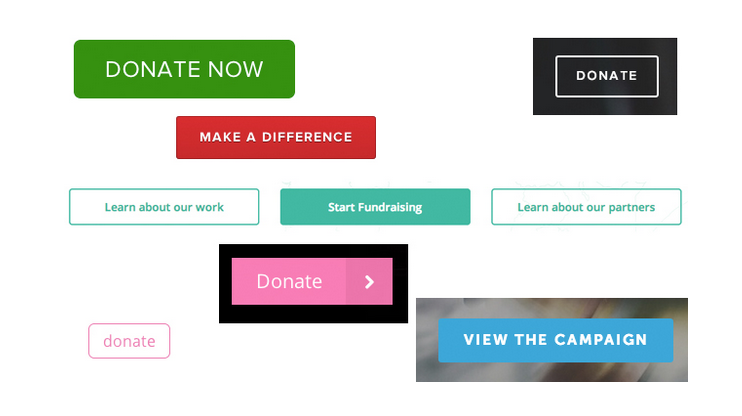 They say that these types of buttons are more clickable and tend to be more eye-catching. In comparison with pill shaped buttons, square shaped buttons can be associated with banners, so many people avoid clicking on them. So, here you have 4 powerful tips to use in order to optimize your blog CTAs. Do you have other tips in your mind? Share them with us in the comments below.